So after the creation story, man was living thee life. You know, just chilling the works no hustles of life, food and drinks were available, there was no need for money, competition…basically it was just for chilling and walking around the VERY beautiful garden of Eden accompanied by a VERY beautiful woman called Eve… I mean what more would one ask for? So in my quest to understand what really happened in the Garden of Eden. Yeah sometimes you need to trace back the origin of this things. 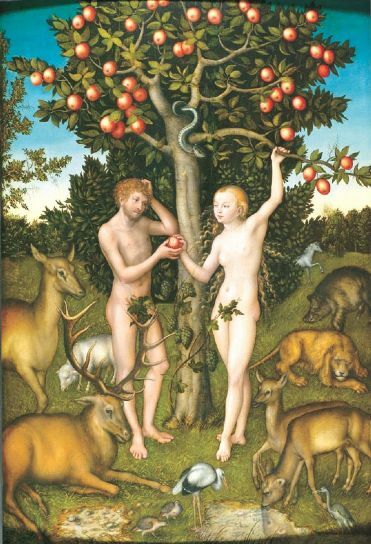 Adam and Eve being the first couple ever, historically that is, and according to the oldest life guide-book which is the bible. 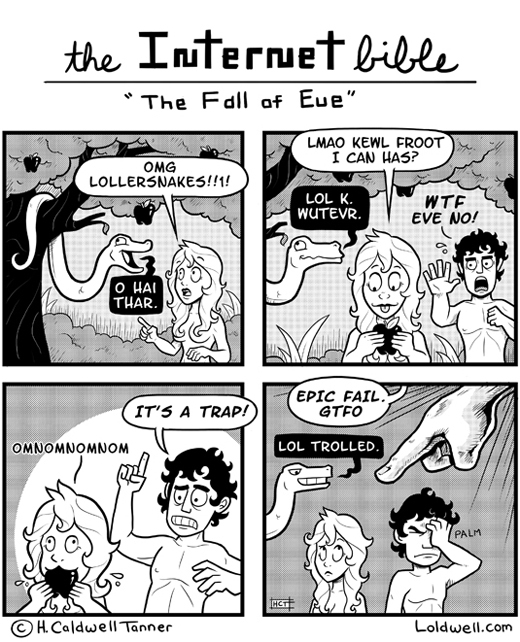 Just how did the “Fall Of Man” happen? Derived from Genesis 3:1-24 and some referrals from chapter 2 as well. 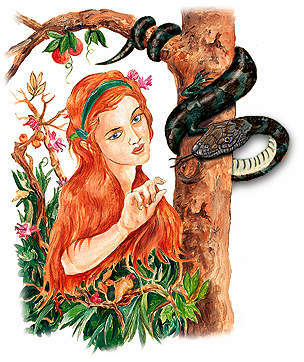 This is how it all started, the Devil/Satan aka Serpent targets Eve being crafty and all, I could even say he took the place of a con-man in today’s world. PS : They always target women. Eve ingests the questions and responds politely just as she had been told by Adam because if you read Chapter 2, it’s Adam who was given the commandment. Note that in Chapter 2:16-17, while Adam was telling Eve the rules of the Garden, this is what God had commanded him, “You are free to eat from any tree in the garden but you must not eat from the tree of the knowledge of good and evil, for when you eat of it you will surely die” ~~~ Well, Eve had added spice to the commandment and said that you must not touch it too…lol, clearly now you can get where we all get this from. And so the con man Serpent went on, convincing the woman that she won’t die, I mean that’s just a gimmick so that you don’t be like God. A woman is emotional, as I would always say, and will do what they think is good or will make them be in a better position. Hence the reason they are always the ones who fall into the traps. And that’s what exactly happens next. 6 When the woman saw that the fruit of the tree was good for food and pleasing to the eye, and also desirable for gaining wisdom, she took some and ate it. She also gave some to her husband, who was with her, and he ate it. Haha this is the funny part, Adam was the one who was given the commandment. Eve heard it from him *third-party*, so if anything Adam should have intervened, and said with Confidence what he was told by God. And told Eve NO! You cannot eat this. But instead watched from a distance as the Devil lured Eve, and he did completely nothing. And after she was convinced, she even shared some of that juicy i believe it was apple with him. 7 Then the eyes of both of them were opened, and they realized they were naked; so they sewed fig leaves together and made coverings for themselves. 8 Then the man and his wife heard the sound of the LORD God as he was walking in the garden in the cool of the day, and they hid from the LORD God among the trees of the garden. Note that: The woman, Eve, did not blame Adam but instead the canning crafty liar, the Serpent. Putting in mind she didn’t force Adam to eat the fruit in the first place, she was sharing out of the goodness of her heart. And Adam who ate it, without questioning goes ahead an puts it all on the woman, while he could do something about it i.e Tell off the Serpent, but he did nothing, though was quick to point fingers. 20 Adam named his wife Eve, because she would become the mother of all the living. 21 The LORD God made garments of skin for Adam and his wife and clothed them. Yeah and that’s why we suffer the way we do. *Sigh*. Can you imagine there was also the tree of life, in that like you can eat of it and live forever…how cool, that means no one will ever lose their loved ones. But Adam and Eve ate the one for knowing good and evil…who needed to know good and evil then, life would’ve been much easier if we didn’t know. Like they say, “What you don’t know does no harm to you”. But bygones are bygones, now to live with that. And that’s how we landed on earth…from the beautiful Garden of Eden. 23 So the LORD God banished him from the Garden of Eden to work the ground from which he had been taken. 24 After he drove the man out, he placed on the east side of the Garden of Eden cherubim and a flaming sword flashing back and forth to guard the way to the tree of life. Kawiria Rincuni (Kawi) is lady with a bright and bubbly personality, who’s passionate about creating social content that positively inspires and impacts people, and most of all, interacting with people in a way that will create more value in their lives. Join the list to get a dose of Kawi Snippets as and when we post via Email. What Am I Even Writing About? What Kind of Traveler are you? © 2019 Kawi Snippets. All Rights Reserved. This website was designed with ❤ by Mbithe Nzomo.